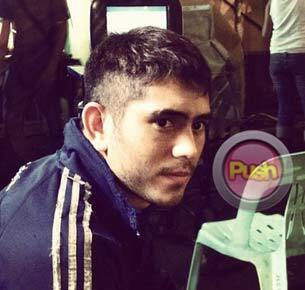 Push.com.ph caught up with Gerald Anderson at the story conference of his upcoming movie OTJ yesterday, November 22. Sporting a new look for his latest project, Gerald started his training/immersion in a city jail just this week. “Ang role ko dito isa akong preso na magiging professional killer. Si Piolo (Pascual) yung counterpart ko na isa namang NBI agent. Kung anong look ko ngayon yun ang look ko sa movie. Marami kaming preparation—mula sa physical look, costume, sa training, at pati emotionally kailangan ready din kami,” he began. Apparently, the 22-year-old is more inspired to do character roles that would test his versatility as an actor. In fact, he’s looking forward to experience what it’s like to portray a bad boy this time around. “Oo, iba talagang experience ito. I am very excited kasi iba yung story at iba yung atake na gagawin. 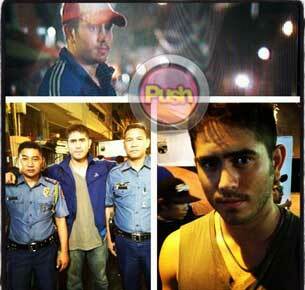 Actually, two years ago kinuwento na sa akin ni Piolo (Pascual) ito. Kaya lang hindi natuloy. Tapos around two months ago ibinalik. Sabi ko, ‘Yeah, let’s do this,’ kasi ang ganda ng script.” Gerald added that it won’t interfere with his other work commitments since he will resume taping Bukas Na Lang Kita Mamahalin in January. Gerald also conveyed his message to all his fans who are wondering when he will fall in love again: “Thank you for your concern. Let’s not rush it,” he beamed.